Hello! As I wrote in my previous post, to celebrate Bambina Carabina 4th anniversary and to thank all of you who were so patient and without any BC update for a long time, I worked on a little set which I’ll give for free to the lucky one who will be choosen at random by Random.org. please put a comment (with your flickr name) under this post, I will give you a progressive number that I will show at the bottom of this post. You will have time until Sunday January 13rd midnight (Italy-Rome time). On monday January 14th morning I will pick up a number, doing a screenshot of Random.org’s webpage and I will post it to my flickr stream.Then I will send a flickr mail to the lucky winner to arrange the shipping (shipping costs would be paid by me). 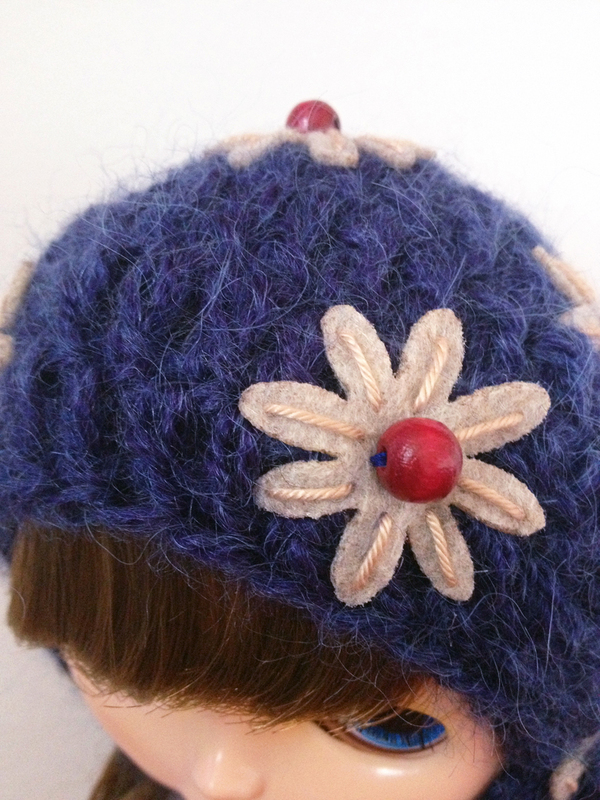 – A navy blue mohair Granny Hat, with natural/sand color felt flowers, each petal is embroidered in sand color cotton yarn.There are deep red wooden beads on each flower. 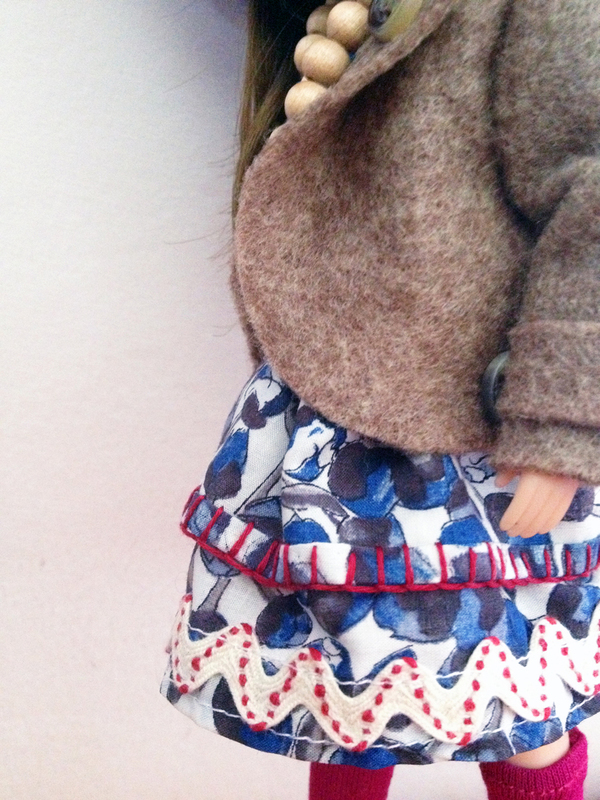 –A party dress (pattern from Melissa Cabral ) done with a Liberty fabric I purchased in Paris one yer ago with a blue flower buds pattern.The skirt has two layers, the shorter one is finished off with a deep red cotton hand embroidery blanket stitch.The other layer has a cream and deep red rik-rak ribbon at the border. On the chest I sewn a little wooden beads necklace. -A raw edges sand color boiled wool felt jacket with four little “tortoise” buttons. -A straw basket finished off with a sand and deep red woven ribbon. Good Luck and thank you for your support and touching emails in all these years! ← A very different BC Christmas! Happy Anniversary! 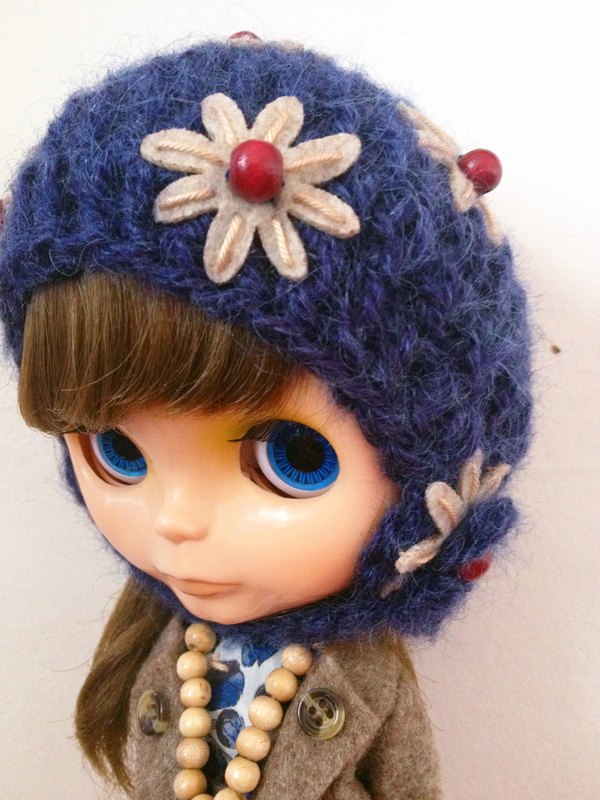 My Flickr user is plasticfashiondoll. What a sweet thing to do and Happy Anniversary to you!! My Flickr is sglahe. Congratulazioni per il 4° anniversario Gaia!!!! Il set è bellissimo, speriamo di avere fortuna!!!!! PS I will contact you soon about the commission list, sorry for the delay! What a cute set and what a lovely idea! ma che figata!!! il giacchino è super wow! Hi Gaia! Happy Anniversary, I’d love to be entered into the giveaway. My flickr ID is emerald*marina. Thank you! What a cute set! This is so nice of you. (smeebot on Flickr). Such a wonderful opportunity! Thank you so much, I am My Delicious Bliss on flickr. This is so wonderful! Happy Fourth Anniversary!!! Felicidades! 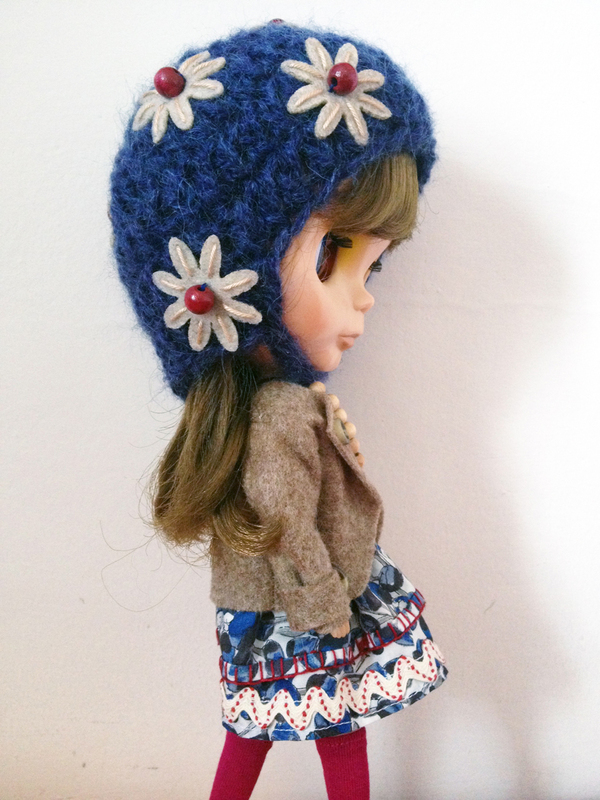 (flicker: Mystery Blythe Underground!) gracias y besos! No dear, you all have time to enter until Sunday night! Ahhhh what a dream!!!! Thanks alot for the chance! What a beautiful outfit set! I would love to participate. I’m ittenbeh on flickr. Thank you so much for doing this giveaway. What a gorgeous, cheery set! Yay, Congrats on your fourth Anniversary, Gaia! 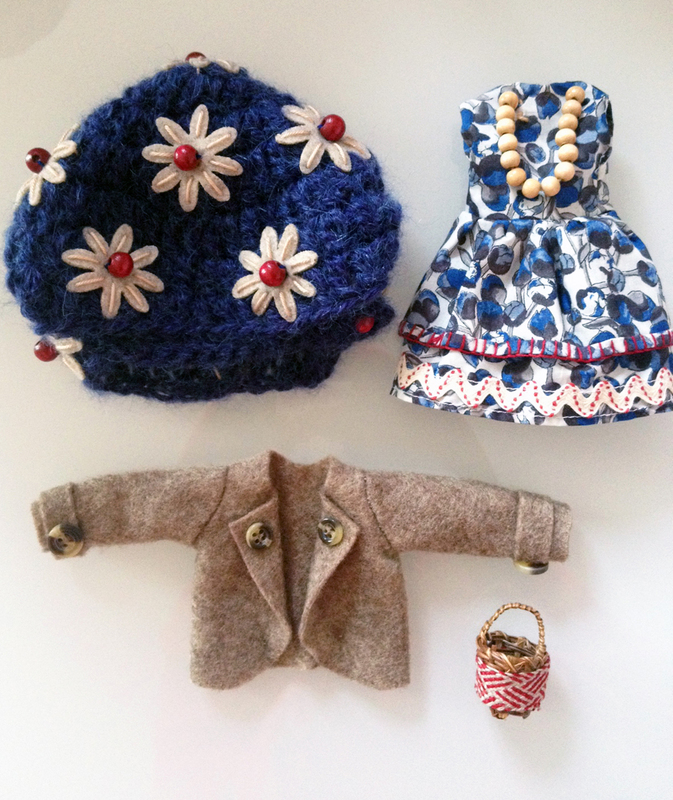 What a darling set- my girls love the one hat we have of yours and would love to add more- best of luck to everyone! Congrats on 4 years and here’s to 4 more! :] Adorable set. The drawing is a day before my birthday, haha. Buon anniversario! Sai che ero convinta fossero più di 4 anni? Congrats! Thanks for having this giveaway! that dress set is so lovely! Happy 4th Anniversary! Love this set very very much! I think Lila would look great in this. I believe she is getting tired of her purple outfit. Happy Anniversary! Congrats for 4 years of success, Gaia. What a lovely idea! My flickr name is taninhac2009. Parabens Gaia e que venham muitos aniversários mais! Meu nome no Flickr é; monymorocha. Happy Anniversary, and best wishes for the coming year! What an amazing give-away. My Flickr name is “The Dutchlady”. What a beautiful outfit- congratulations on 4 years!! congratulations!!! what an awesome set 🙂 i’m mylaar on flickr. Happy Anniversary Gaia! Il set è davvero carinissimo, bellissima anche la scelta di colori! Its beautiful! I love all the details ❤ Happy 4th my friend. Happy Anniversary, Gaia! ❤ Fantastic outfit. Muchas felicidades por tu aniversario y los mejores deseos para este año!!! Please no more comments! The winner will be announced in a few moments!